Please introduce yourself. Where are you from? When did you start photography? Did you paint before starting photography? My name is Ruediger Glatz aka Ruedione and i come from the beautiful city of Heidelberg in Germany. Like many people I’ve shot photos my whole life. When i was 7-8 I had as well some darkroom moments with my father, but the real start of my photography was in 2000…soon i became a photonerd. I started to write around `91 but slowed down around `98….today I piece just once a while, but can’t claim myself being an active writer. 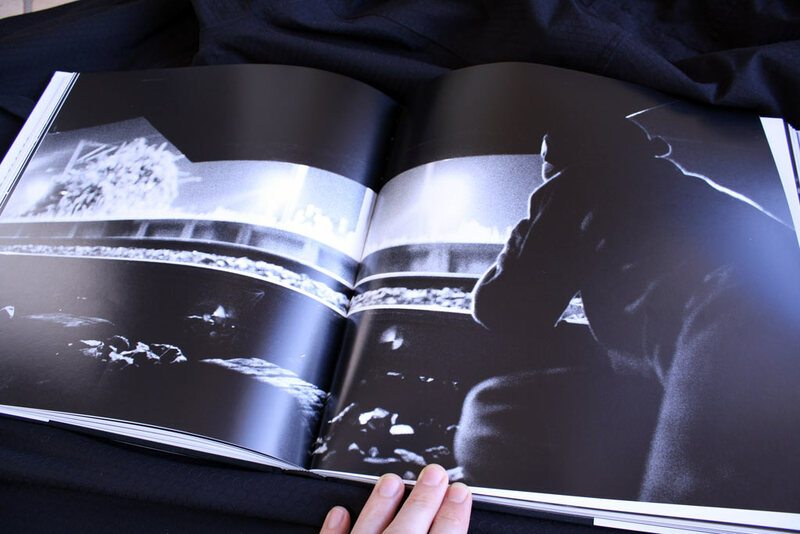 Backflashes is a big book with large pages and only 1 big photo per page. Was it important that your photos were presented on such a big format? The book was still a compromise for me….if it was only on me, i would have put just one image per doublepage, but i was as well grateful to the publisher, as doing such an uncommercial book in this period of time, while tons of graff books come on the market and most sell way less, than they used to sell, is a certain risk I appreciate a lot. indeed…this kind of presentation was important to as I want to see my “babies” getting the right focus. The composition of an image is very important to me…normally i don’t crop my images. 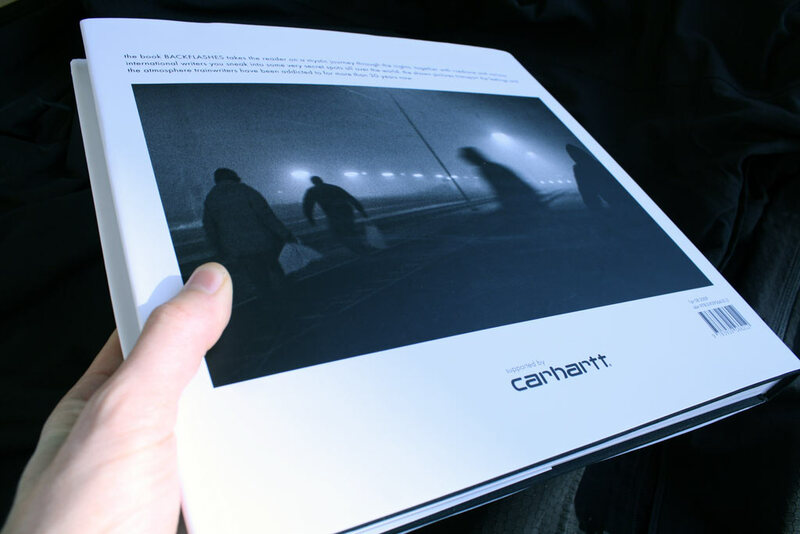 I go even so far, that the images in the book, that go over a doublepage and had get cropped for that, fall in my eyes under grafic design and are no more part of my photos in that book. I personally don’t crop to push myself becoming better. With crops you can easily optimize your images and you don’t have to focus much while shooting. The presentation of my images is quiet an emotional point for me. When I started this series in 2002 I was strictly shooting film and the T-MAX3200 gave me the needed speed to shoot this series. I like the grainy and raw look of this film and had the feeling, that this format was supporting my look. In 2005 i switched to digital, as the first camera came on the market, that gave obviously better results than film plus i found a mentor who opened my eyes for a certain general view on photography. …but i kept the same look for the series. Today I shoot mostly digital, but use film for some series. I experiment a lot with all kind of cameras and always try to push limits. I am very grateful for the possibilities, that the digital photography gave me, the same time you have to be aware of all kind of risks, that come with that medium. When i shoot a series i always make up my mind first, what kind of style is underlining my message. I do shoot as well “technical perfect and precise” digital images, but for most of my series i use a retro look, as it gives me the emotional intensity, that i always look for in my images. 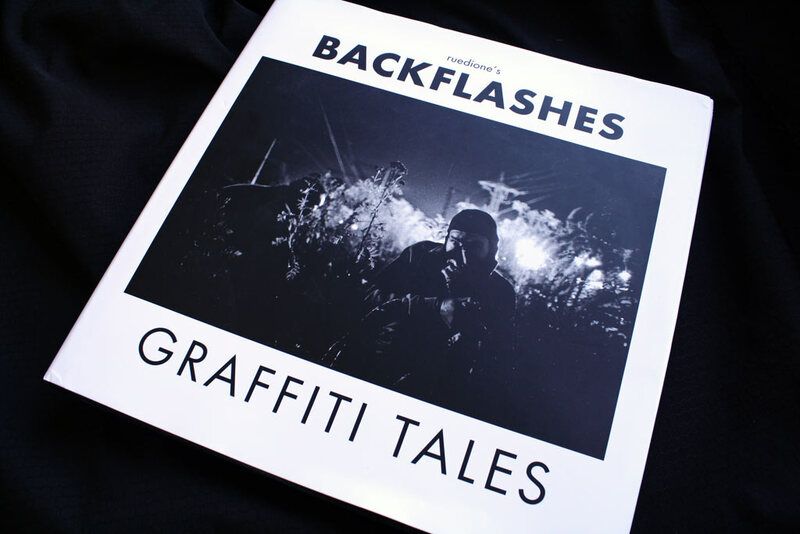 Backflashes must be one of the 1st books about graffiti where it is not shown a single graffiti. Is it a way for you to tell that adrenalin, friendship, tension, & night-missions are what really matters in the graffiti? I see my book being the second book, as Alex Fakso published his HEAVY METAL in 2006. My aim was to visualize that feeling that kept me going out at night for so many years. 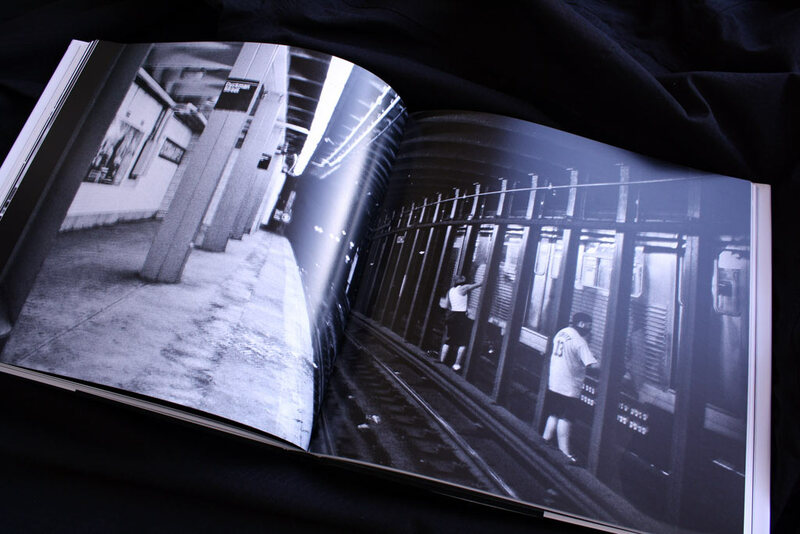 Graffiti -and specifically bombing- influenced my life a lot and i wanted to preserve that precious feeling for me and others, that might be interested in grabbing the book in 10-20-30 years and get a backflash. The way i chose to shoot the series in, has the focus completely on the feeling….the identities of the persons are totally not relevant…it is even important for me, that they are not being recognized, as graffiti is a movement, that creates idols, who might disturb what I was looking for. In a way i think that the community aspect of graffiti is probably the most important factor to me, that made this movement so special to me, but this is somehow what my next book is about…i am already working on for 7 years. 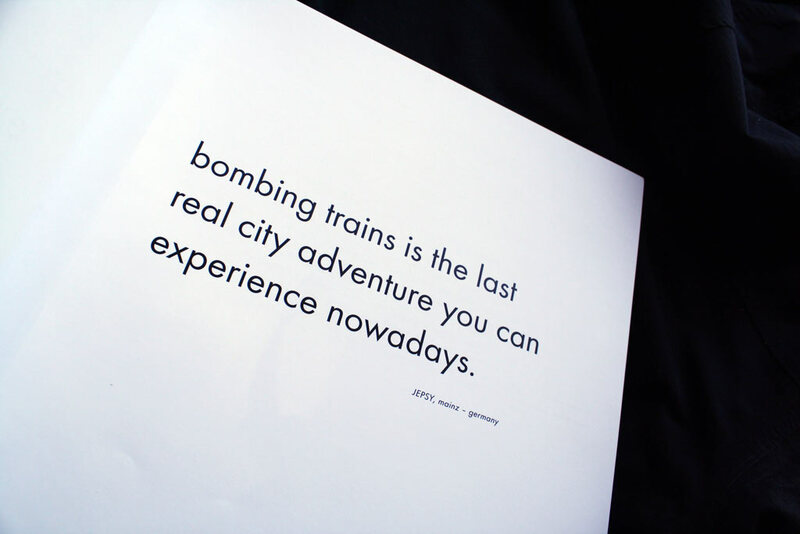 BACKFLASHES is all about the bombing-feeling itself. 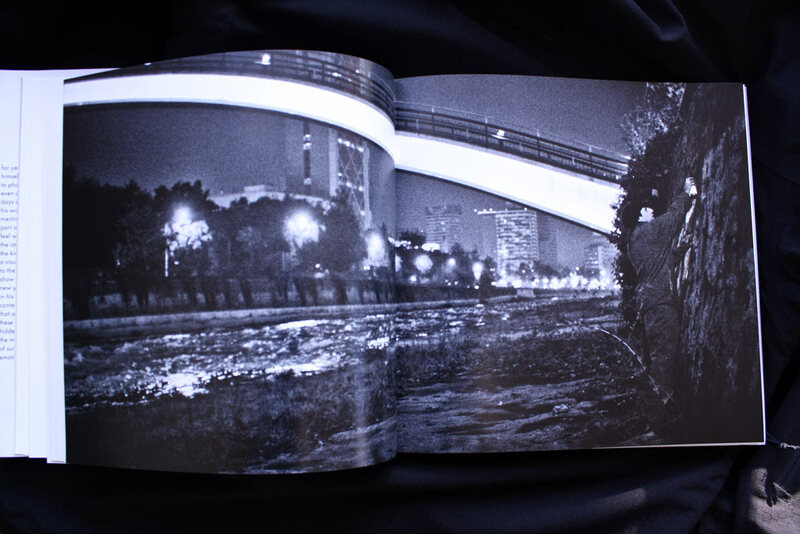 …a piece made for night-lovers. As a former graffiti writer, is it frustrating sometimes to take some risks with people in front of a train and not painting on it? It is funny…it seems that this is the question almost everybody asks me. The answer is quite simple. Photography is no different than writing for me. It is about style and achieving aims, therefore I always saw myself as part of the production, but in another way. While i spent formerly 7-8 hours on a mission plus had to chase in the morning trains (what was as well special to me) to get my piece, i join today the production and have mostly 10-20 masterpieces in a very basic format on me. Those I can finish in the perfect moment. You could compare it to a writer, who does his firstlines and fills in the yard, but is able to do his outlines at home. This was always a wonderful way of working for me. As well i was never able to satisfy my personal view on quality and style in writing, while i am able to do so in my photography. Of course there still has to be a certain challenge, to be able to evolve, but i love my images and it feel like carrying home babies. Which photographers do you admire most? Did some of them influence your own style? 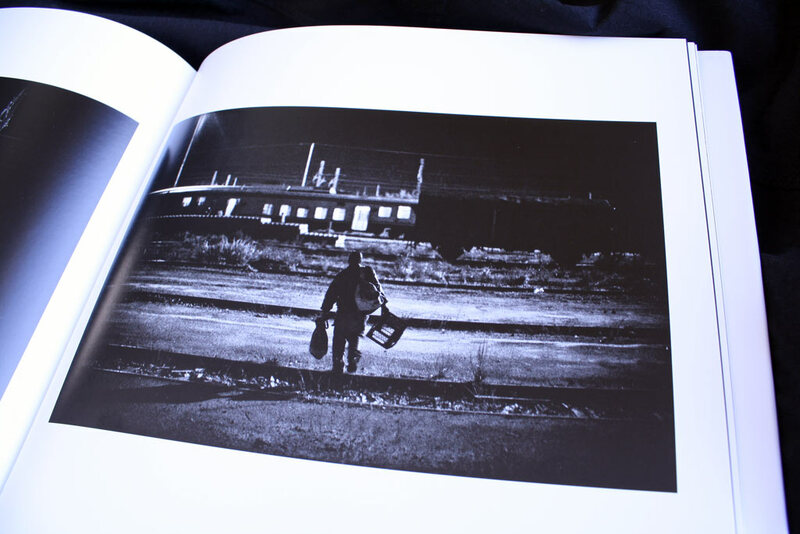 I wouldn’t say that there is a specific photographer, who influenced my style or who i even admire. When i started in 2000 very soon the images and the approach of MAGNUM photographers like Bresson, Burri and Capa influenced me, but over the years i had the feeling something was missing and it were finally images of the American civil war and other vintage prints, that showed me what i was seeking for.. that influence added darkened edges and a certain retro look to my style. Somehow the opposite of what seems to be perfect to the most is perfect to me … it gives warmth and emotional focus on details to my images and this is what was a bit missing before. I never wanted my photography to be neutral. Several years ago the concept of “stars” faded for me and today i don’t see any photographer or “star” in general, who I would like to switch life with…i enjoy my life. Is this book the end of a period of you life? 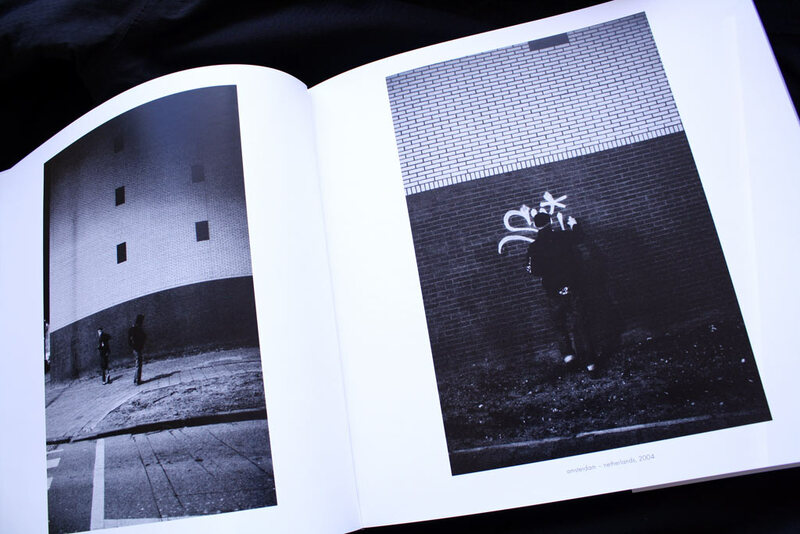 Do you still shoot graffiti writers or like Alex Fakso you are now experiencing new photographic themes? 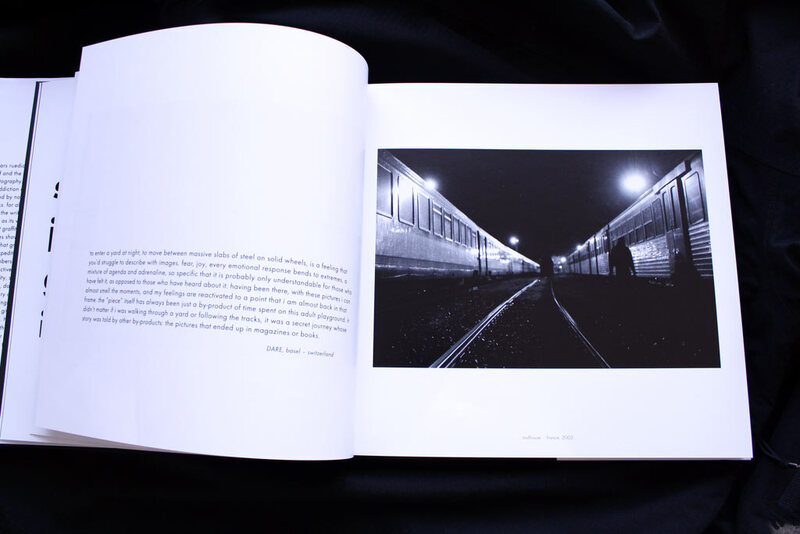 I would say that this book was about a former period of my life, that was even over, when i started shooting…so i called it BACKFLASHES. Since i started taking photos, the challenge of learning was always a very important matter to me. Therefore i shoot since years as well photos in other directions than graffiti, but i like to separate things. About 4-5 years ago i started to work also as a photographer, but what i shoot job wise has nothing to do with my personal work…but it keeps me learning. Next to BACKFLASHES i have other long term projects i was working on, and since i finished BACKFLASHES in December 2008, i focus on my series ARTISTS (just a workingtitle), that i started shooting for in 2002-2003. Here i shoot portraits of around 90-95 protagonists of the graffitimovement. I join them sometimes for a couple days and the focus is on the person and their living environment…this series should be finished by the end of 2010. …but there are a couple more series. I am addicted to shoot and i enjoy it a lot. And a last one if I visited Heidelberg, which are the places I shouldn’t miss? It depends on the day, but for sure you shouldn’t miss the ZUCKERLADEN …a crazy candystore with a crazy owner. I always call Heidelberg “happy land” as everything seems to be alright and good. 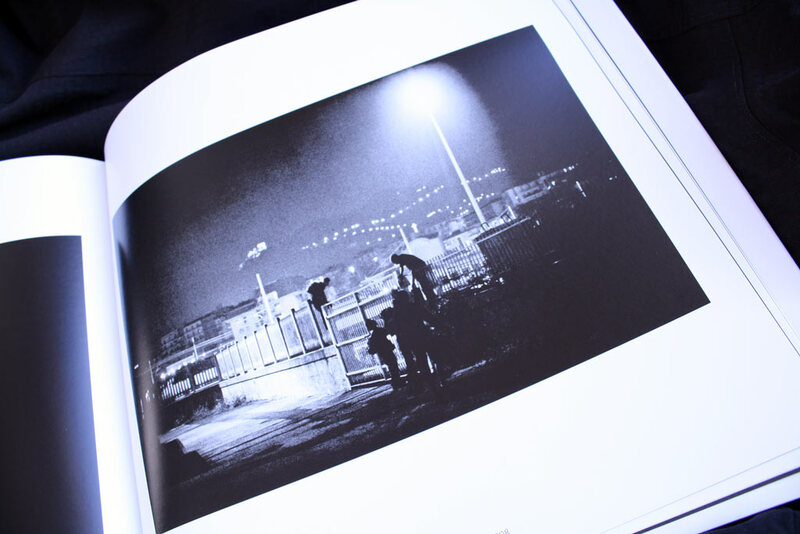 This entry was posted in book, interview and tagged backflashes, book, interview, ruedione. Bookmark the permalink. the book looks very good and a top interview to go with it, always like to get some background info. good luck with the book! what do darkroom moments with your father have to do with photography? He’s talking about a Darkroom.